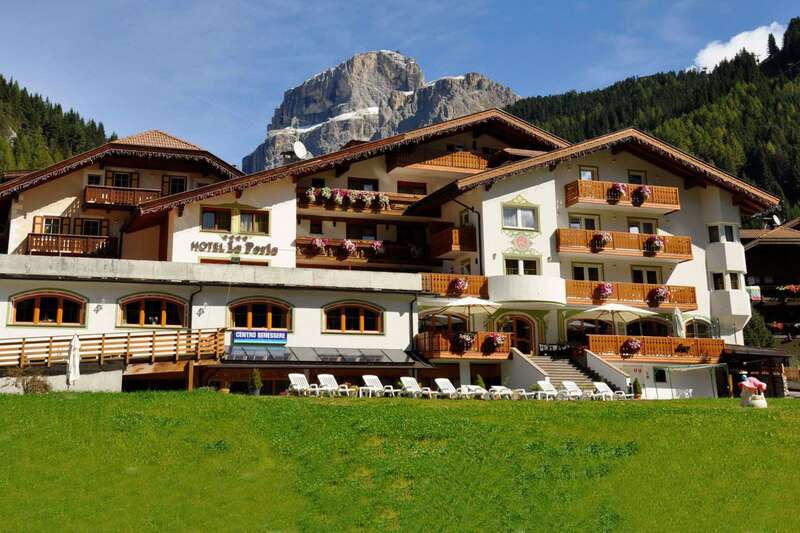 Hotel La Perla is situated in the heart of Val Di Fassa in Canazei. It comes with rooms overlooking the Dolomites, a restaurant as well as a fitness center. All the rooms have a balcony. The rooms are decorated with either carpet floors or parquet floors. The rooms are fitted with a satellite TV, a bathroom and a minibar. The hotel’s wellness center comes with an indoor swimming pool, a hot tub and a Turkish bath. It also has a beauty farm. Breakfast which is served every morning consists of savory and delicious foods. Italian cuisines are available in the hotel’s restaurant. If you love outdoor activities, then you are sure to enjoy your time in Hotel La Perla. While skiing is popular during winter, biking is the favorite outdoor activity during summer. 100m away from the hotel is the gondola lift which takes skiers to Belvedere.